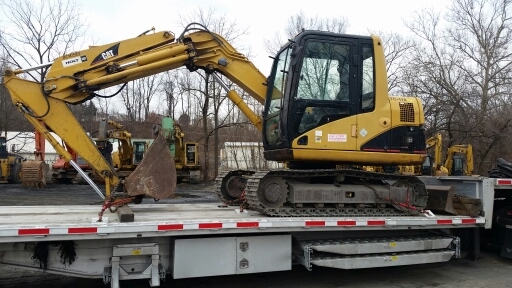 Heavy hauling and trailing involves huge tasks and requires having the right equipment and machines that can handle your specific job and handle it correctly. At times flatbed trailer can do so little due to shipment being overweight, wide or too tall. 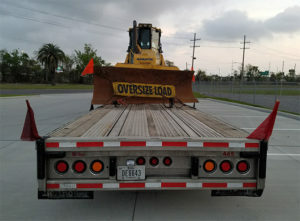 Heavy hauling companies come in here, and it is good to know many companies offer to haul and trailing services that you can hire when you need your job done. However, when hiring heavy hauling services, you should consider the quality of services offered to know if it fits your specific task. This page gives reasons why you should employ American heavy hauling for your trailer transportation needs. When hiring a hauling transportation company for your trailer transportation needs, you should get the proper trucks and trailers that will do your work right. Regardless of the type of freight, whether it is overweight or oversize, the company you hire should be able to offer the right kind of trailer to handle your specific need. American heavy hauling has fleets of trucks and trailers that will carry out your task just as you want. One of the most important benefit you will need when hiring a heavy hauling company for your taring needs is the ability to offer multilevel services. You do not want a situation where you hire equipment and then at some level you are forced to borrow from another company since the one you have can only offer a specific service. At American heavy hauling company we have availability of multilevel services. From less than truckload and full truckload heavy equipment shipping, inter-modal transport services, heavy hauling to flatbed tracking, you have all your loads catered for. Multilevel services give you a reason to hire us as compared to other companies where you might need to hire more than one company to provide for your needs. You need to hire a trucking company that will ensure your loads reach their destination safely without risks of loss. With American heavy hauling services you don’t need to worry about your load getting damaged on the way before it reaches its destination. We use drivers who are experienced and have specialized in handling heavy equipment transport and have expertise in adjusting heavy loads to make them comply with the per-axle weight requirement that ensuring there are no damages on your freight. When planning for trailing tasks, you must be working within a range of specific budget, and you should look forward to hiring and tracking company that provides the quality services, and their prices fall within your budget. Many trucking companies gauge customers with pricing. With American heavy hauling, you are sure of better prices, and you will get clarity of costs given even before you start your job. Your load is a significant concern when it comes to transportation. While it is the wish and best interest of any hauling company to have your loads safely delivered, accidents do happen. However, it is essential to hire a hauling company that is safe and is insured to ensure in case of a crash you get compensated. American heavy hauling is an insured and licensed company which is bonded to haul loads all over the United States. we find most efficient route for your loads’ drops and pickups and ensure safety for all your trailer transport. It is apparent that hauling companies are very crucial when it comes to trailer transportation needs. When in need of a trucking company for your transportation needs, sign up for HeavyHaulers.com and get the most excellent services at affordable prices.